With the new Taxi APP, we recommend downloading it before you begin exploring Niagara. You can rely on Central Taxi services should you encounter unforeseen problems along the way. To access the schedule of ship movements in the canal, call the St. Catharines Museum and Welland Canals Centre at Lock 3 (905-984-8880) or visit Great Lakes Seaway. CAA -For members only, Bike Assist is a roadside assistance for your bike. If a problem occurs, CAA will take care of you and your bike. Available 24 hours, 7 days a week. Call CAA or use CAA Mobile App. Visit caa.ca/mobile for more information. St. John’s Ambulance App – First Aid advice from medically trained experts and Cycle Response unit. Tips on how to use bicycle equipment as First Aid instruments. Visit St. John’s Ambulance website to download the app and for more information. Share the Road – The Share the Road Coalition is a provincial cycling advocacy organization working to build a bicycle friendly Ontario. They coordinate programs, events and advocacy including Bicycle Friendly Communities program, Annual Ontario Bike Summit, OntarioCAN and Advocacy Toolkit. Ontario by Bike – The Ontario By Bike Network is a great resource when planning a cycling trip in Niagara. 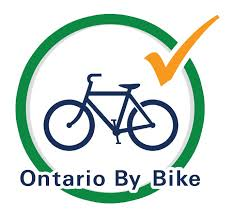 Accommodations, restaurants, cafes, attractions, visitor information centres, bike stores and other businesses participating in the Ontario By Bike Network offer specific services and amenities that cater to the needs of cyclists. This may include overnight secure bike storage, healthy food options and easy access to cycling information. Visit www.ontariobybike.ca to find information, links and map location points of certified bicycle friendly businesses across Niagara. Warmshowers.org is a free worldwide hospitality exchange for cyclists. These are people willing to offer accommodations, meals, warm showers, etc., to touring cyclists. Visit warmshowers.org for more information. Bike Valet – is a service provided at a community event that allows people to leave their bikes at a central location during the event. 20 Valley Tourism – Niagara’s Twenty Valley including Beamsville, Vineland and Jordan, offers unique experiences from nature trails to signature wine touring and exquisite boutique shopping. For more information visit the 20 Valley Tourism website. City of St. Catharines Tourism – Discover the City of St. Catharines with its award winning restaurants, festivals, historic sites and unique downtown. Visit the City of St. Catharines Tourism website for more information. Niagara Falls Tourism Association – Niagara Falls is a veritable theme park with ultra tall buildings, water parks inside hotels, the climate-controlled Sky Wheel, kid-friendly restaurants and Marineland. Visit the Niagara Falls Tourism website for more information. Niagara-on-the-Lake Tourism – Enjoy world class theater, fine dining, shopping, estate wineries, farm markets and historical sites. 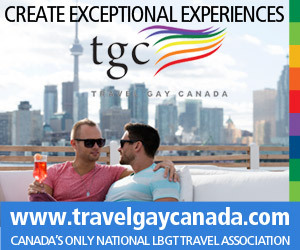 Visit Niagara-on-the-Lake Tourism website for more information. Niagara South Coast Tourism Association – Niagara’s South Coast is a lively destination for visitors and locals of all ages in search of some recreational fun covering Fort Erie, Port Colborne, Wainfleet, Welland and Pelham. Visit Niagara’s South Coast Tourism website for more information.